Simple perfection. Squeezed between the offies and take away pizza joints on St Paul’s Rd, Trullo is delightfully understated. Receiving rave reviews since opening in 2010 it quickly became impossible to secure a table. But feeling lucky on a Friday night I confidently strode through the doors and struck gold upon discovering that Trullo now has a whole new downstairs dining area. Brick walls, polished concrete floors, candlelit tables, it’s very moody and cavernous. The downstairs menu offers a selection of small plates serving the best of Italy in bite sizes. Every dish will get you salivating and priced at around £6 you really can order one of each. 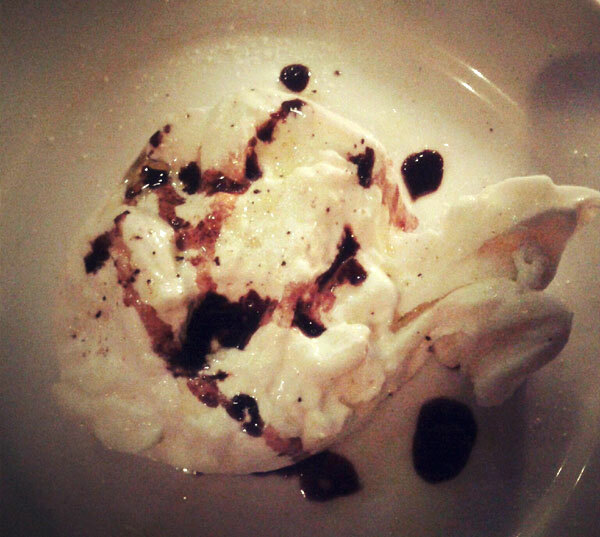 Creamy burrata with a splash of aged balsamic was divine. A stew of chorizo and chickpea topped with aioli and rocket was rich in flavour with just enough spice and salt. 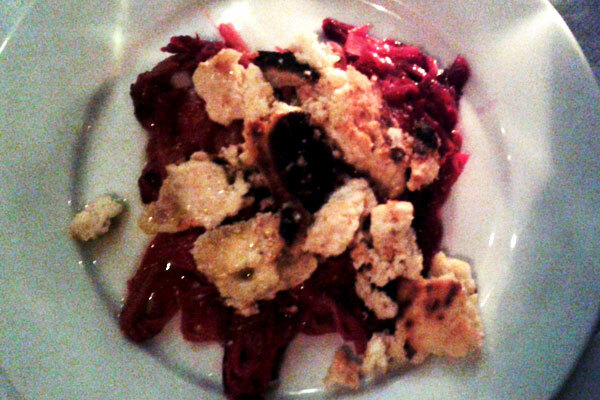 Chargrilled leeks with thinly shredded beetroot and baked ricotta was quite simple and the ricotta really made the dish. I really don’t think you can go wrong with any of the dishes on the menu. And the small plates are ideal to share making downstairs at Trullo a little less formal than the upstairs restaurant. A great selection of wine and also an impressive cocktail menu if you so choose. I have been meaning to dine at Trullo since it opened two years ago but now that I have encountered its new downstairs digs I think that I might skip the upstairs affair and definitely return for more. But let’s just keep it between us as I am sure that once word gets out it will soon be impossible to get a table. I made it there the first time only a couple of months ago, and it really does some great food. I haven’t tried the downstairs though, and love the idea of the simple small dishes. I’ll have to get there again, and soon.